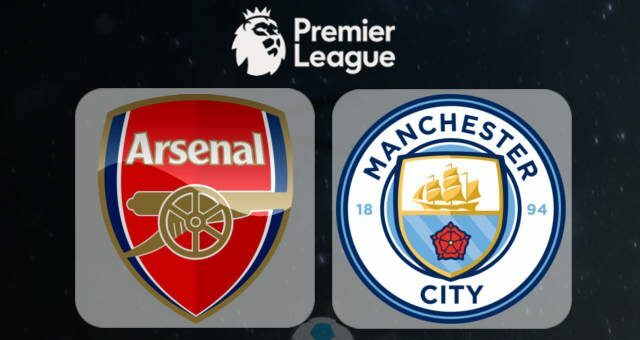 Arsenal begins life after Wenger on Sunday against the defending champions Manchester City as Unai Emery kick starts his reign as Gunners boss. Emery has taken a different pathway from Wenger style with Arsenal finishing transfer business quite early. Emery is known as a reputable tactician and would have to pull the rabbit out of the hat ahead of the visit of the champions. Emery is known to favour both 4-3-3 and 4-2-3-1 formation and we expect him to go with the 4-2-3-1 formation which would see Ozil play a central role. Also, Emery has shown his tactical flexibility in finding a way to accommodate both Alexandre Lacazette and Pierre-Emerick Aubameyang in the first eleven. Aubameyang would start on the left with Lacazette holding the fort and expected to cause Manchester City defence all sort of troubles. Xhaka and Torreira would form the base of the midfield with Mkhitaryan coming in from the right midfield. The defence would be a major headache for Emery especially at the left back position with both Saed Kolasinac and Nacho Monreal each suffering injuries. Maitland-Niles is set to fill in at the left-back position which he is well acquainted with having played the position last season. Mustafi and Sokratis would form the centre-back pairing and Bellerin at the right back position. Leno and Cech would battle it out for the number one spot and we expect the German stopper to just get the nod ahead of the veteran stopper.